How to prepare for a Perl job interview? Getting ready for a Perl job interview is not something you can do in 5 minutes. Not even 5 days. It is a much longer process, but one that pays-off in the long run. I think the biggest point is that you can't get prepared by answering made-up questions found in book that offer to get prepared for a Perl interview. You need to really use the language in order to know it. Getting involved in an open source project can provide the place to gain that experience. The first thing I'd suggest is to buy and read the book Land the Tech Job You Love, written by Andy Lester. The book has advice for anyone looking for a tech-related jobs, but some of his examples are more Perl-related. This is not surprising as This is the same guy who wrote WWW::Mechanize, ack, and who maintains Bobby Tables: A guide to preventing SQL injection. I recommend reading the whole book, but start from the end. Specifically from chapter Staying Hirable, where he describes what to do when you already have a job. Even if you don't yet have a job. I don't think you can just prepare for a Perl job interview. Unless you go to a clueless company, they will ask you all kinds of questions that you cannot possibly prepare for in 5 days. What you need to do, is to invest in your hirability all the time. The tech jobs, Perl programming included, isn't a static thing that you get hired and 40 years later you go to get your pension. It constantly changes and if you want to keep having a job, you will constantly need to improve yourself. Beyond what the current company requires you to know. Using Linux. Understanding what automatic testing means and how to write tests. Understanding Continuous Integration and even Continuous Deployment. Some of these are not just buzzwords. They hide real technologies. Some, the proprietary technologies, are hard to access, but you can learn everything that's Open Source. 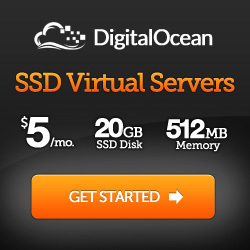 There are many services that provide you free access for a limited time so you can also learn those. Within Perl there is also a lot to learn. 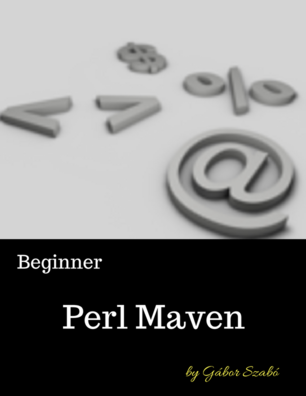 In the Perl tutorial you will find lots of beginner level articles and some advanced articles. 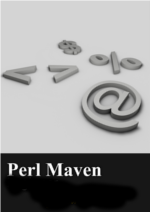 If you are really serious about Perl you'd subscribe to the Perl Maven Pro, where you will find lots of additional advanced articles as well. Too much, how to pick? The biggest problem is probably that there are so many different technologies. Which one to learn? First of all you need to decide which fields might interest you, but you should also check companies that are hiring in your area (or wherever you'd like to work) and see what are their requirements. Based on the ads you can have a direction. One of the best ways to improve yourself is to actually work in the field and get experience. Before you get your first job, and in many cases even while you work, you won't have the opportunity to work on new, and interesting technologies. After all, the company that hired you will prefer that you do what you already know, instead of spending their time to learn something new. Yet, your interest is to constantly learn new things and improve yourself so when you will want to find a new job, you have these new skill. The easiest way to do this is to get involved in some open source project. In the Perl world that could mean contributing to a CPAN module, or to one of the Perl based open source products. Heck, you could even replace your "smoking breaks" at your company by time spent on learning new things. It's good for you in multiple ways.